My first list of free printables was done almost 10 years ago and there was NOT much 'out there' on the net at the time. Now? The internet is a vast space of creativity and has almost anything and everything you could want or need. 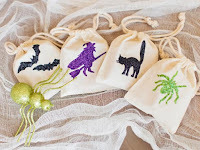 For Halloween crafts there a kajillion ideas... the difficult part is deciding which ones you have time and supplies for this year and which ones will have to wait for next year! Here are just a few I found that I wanted to post links for - my own use and to keep them at my fingertips - but sharing with readers as I'm sure you could use some fabulous ideas too! Whether you are a teacher, a scout leader, a daycare parent, a creative Mom or Dad looking for a weekend craft with your kids... there is something here for everyone and every age-group. 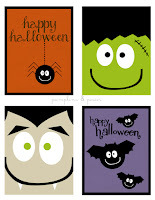 Have some spooky fun with these Halloween Printables. From Halloween coloring pages to printable decorations, kids have many creative ideas to partake in this October. 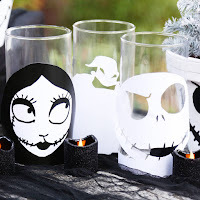 There’s creepy decorations, coloring pages, flashlight cut-outs, bats, masks and more! 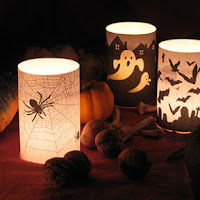 Although this site has a lot of different printables and crafts, I think these candle templates are the winners. LOVE these. 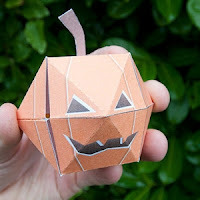 Although Parents has many of the same old same old, this pop-up pumpkin is different from the norm and so cute! I put this one on the list last because you might get lost (happily) for hours in it! HGTV has the BEST EVER printable links. 41 of them. 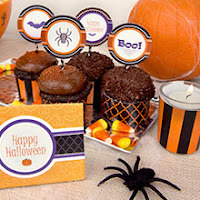 Such cute ideas... you may want to make sure you have lots of ink and paper for your printer before clicking. If you purchase anything through these links I may get a tiny commission, but your price won't change a bit!